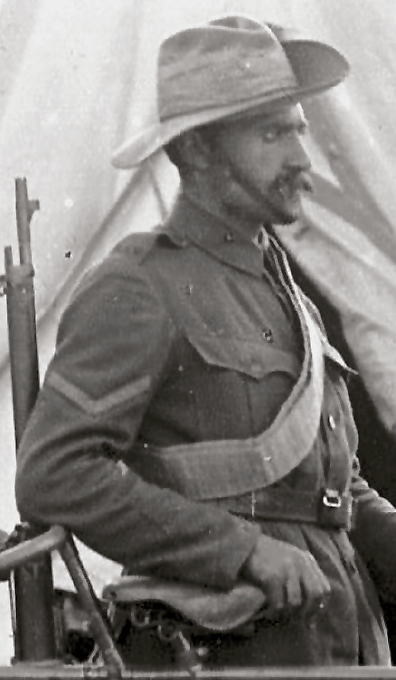 Gentlemen, I was just notified by e-mail that What Price Glory has a new Boer War Bandolier. If I wasn't such a computer imbecile, I'd post a link to it. Like all his stuff, it looks good. You can find it on e-Bay by searching Boer War Leather Bandolier. Probably best to buy it directly from the WPG website....puts a little cash in the forum's pocket. Well, it's not the one with the bullets protruding out the bottom of the pouches-but it'll work. Looks like it's for .303 Brit. 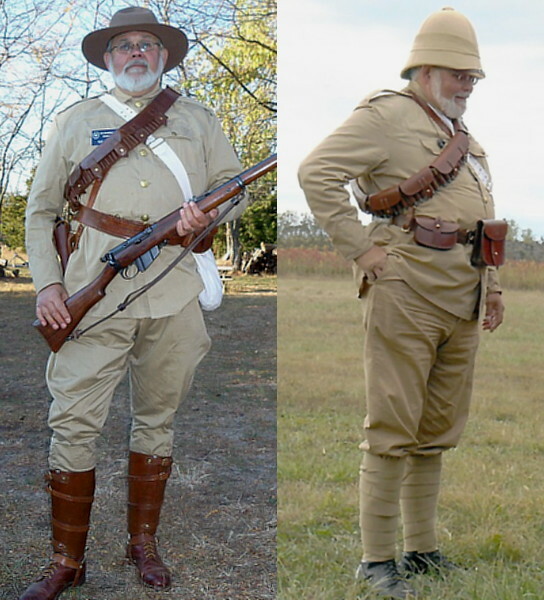 Sir Charles, it says it is patterned after one issued ot some Boer units. Jerry Lee generally knows his stuff so I would assume there is some documentation for this pattern. 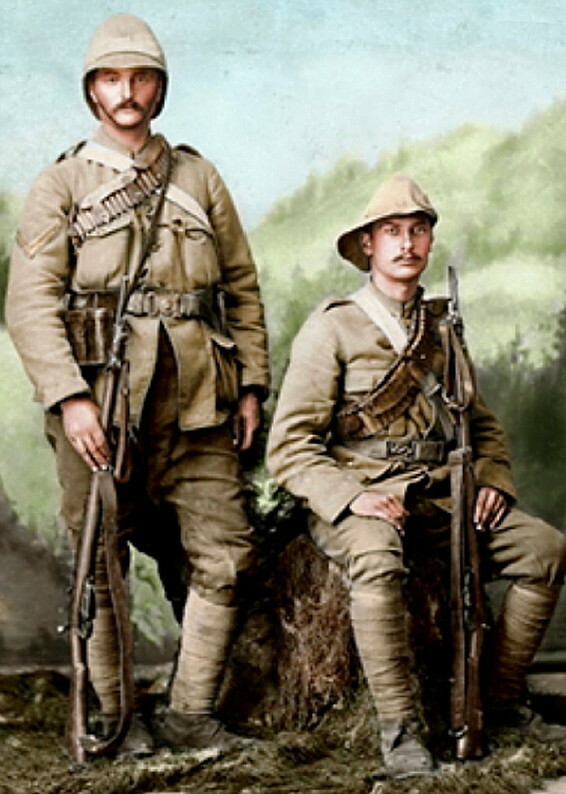 Let me see if I can find some pics of Boer issue bandoleers. I thought about getting one of the British type ones, but was concerned if the tapered pouches for the .303 would fit properly with the "straighter" Mauser cartridges. I suppose that could be a problem with this one too. Gentlemen, to clarify ... as stated in the eBay listing for which Smoke provided the link, this new WPG offering is indeed designed for Mauser cartridges in clips, as used by the Boers. No reproduction of the P'88 bandolier is offered by WPG, that I can see. 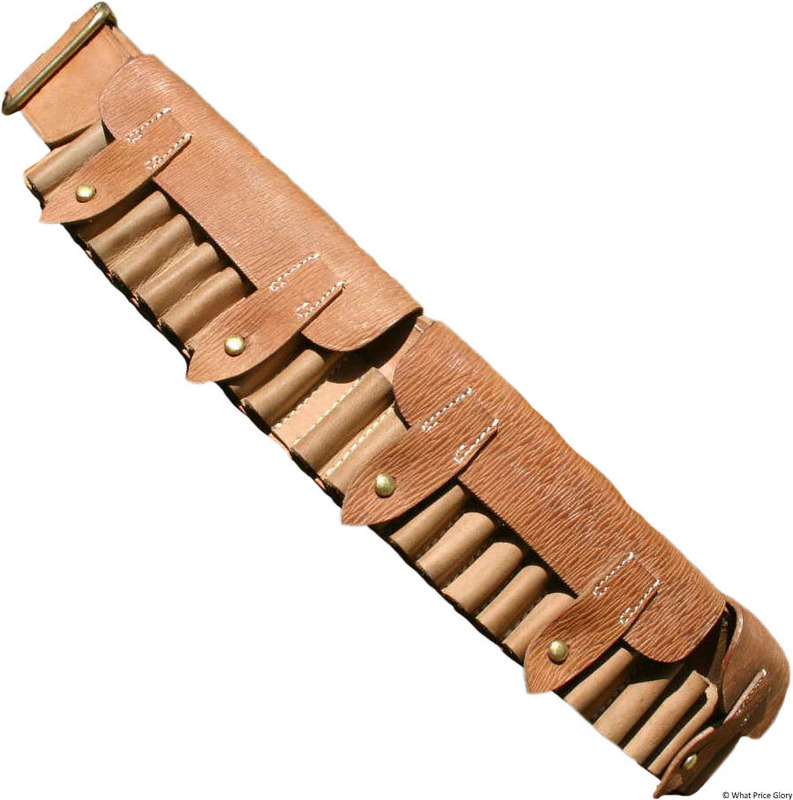 It is listed by IMA for US$39.95 - https://www.ima-usa.com/products/british-victorian-cavalry-303cal-bandolier?variant=26169557701 but currently showing as "Out of Stock"). One type was very similar (if not identical) to the khaki US 1894 Mills 100-round double-loop belt for .30-40 Krag cartridges (indeed, the external dimensions of the .30-40 and .303 cartridges are very close). As you likely know, this belt could either be configured to wear as a waist-belt or lengthened to wear as a bandolier. What Price Glory has recently begun offering a reproduction of this type of Mills bandolier, also. 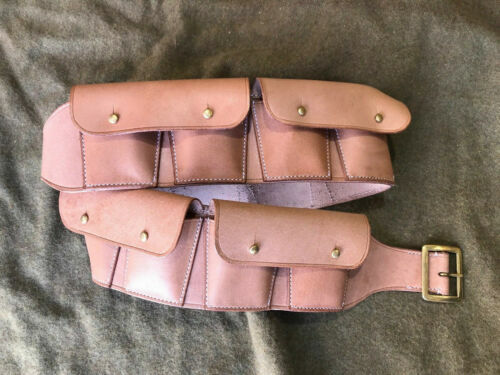 Interestingly, this product IS produced like an original, with the the loops woven integrally with the web belt - https://www.ebay.com/itm/Mills-100-round-Bandolier-Khaki/332490747572? RSJ, via the WPG website and not ebay. I have that 100 rnd bandolier and it is excellent. I bought it off of ebay but I cannot find the it on the WPG website. Original British issue mills belts sometimes had leather flaps over the belt loops. It appears as if they took the leather from a pattern 1888 bandolier and put them on the mills belt. 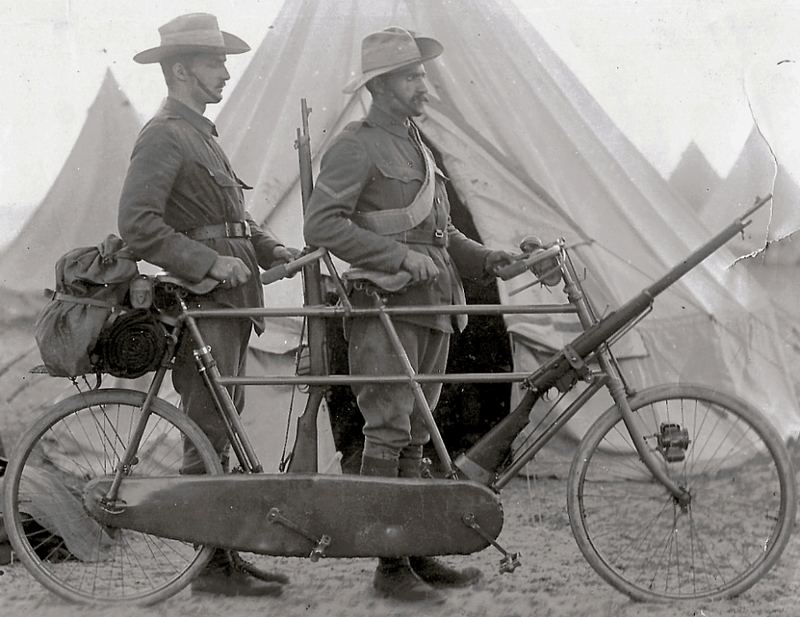 I don't know if this was done by the troop saddler or issued that way. After posting the above, it has occurred to me the I should add a "supplement" to the information concerning British and Empire bandoliers. 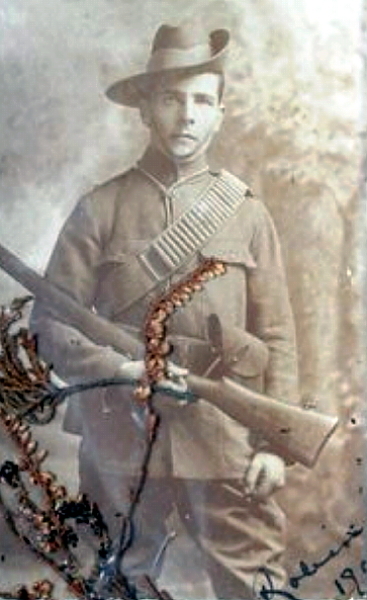 One other type of bandolier one sees in Boer War photos - probably just as commonly as the P'88 leather bandolier - appears to be a "web" bandolier, but is actually a relatively light and flimsy "refill bandolier", which was used for packing, shipping and distributing .303 cartridges in lieu of the traditional British method of packaging rifle cartridges in paper-wrapped 10-round packets. 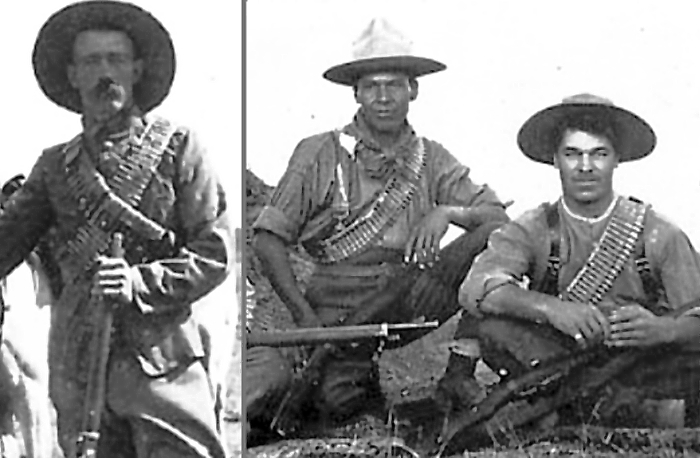 These refill bandoliers were not designed to be used in the field as an ammunition carrying bandolier, but during the Boer War they got extensively used in that way. As you can perhaps make out, these were some sort of canvas or similar fabric, doubled over and then sewn across multiple times to form individual pockets for cartridges, which rode in the pocket somewhat loosely. 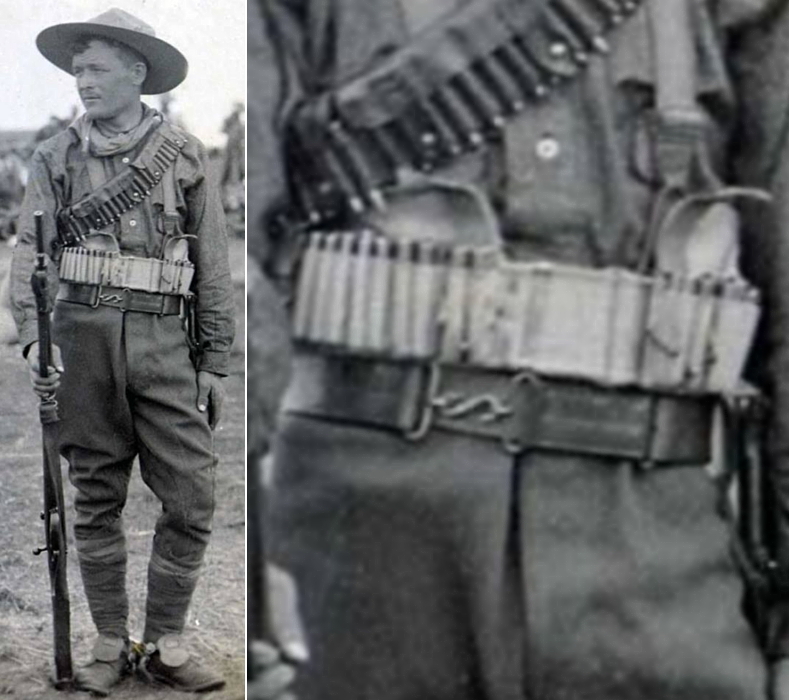 Despite being so prevalent in period photographs, this type of bandolier is not offered in reproduction form, to the best of my knowledge ... likely because it wasn't an official item of field kit, and because it was actually not very effective as a field bandolier, because the cartridges were actually quite easily lost from the jostling they received on the march. 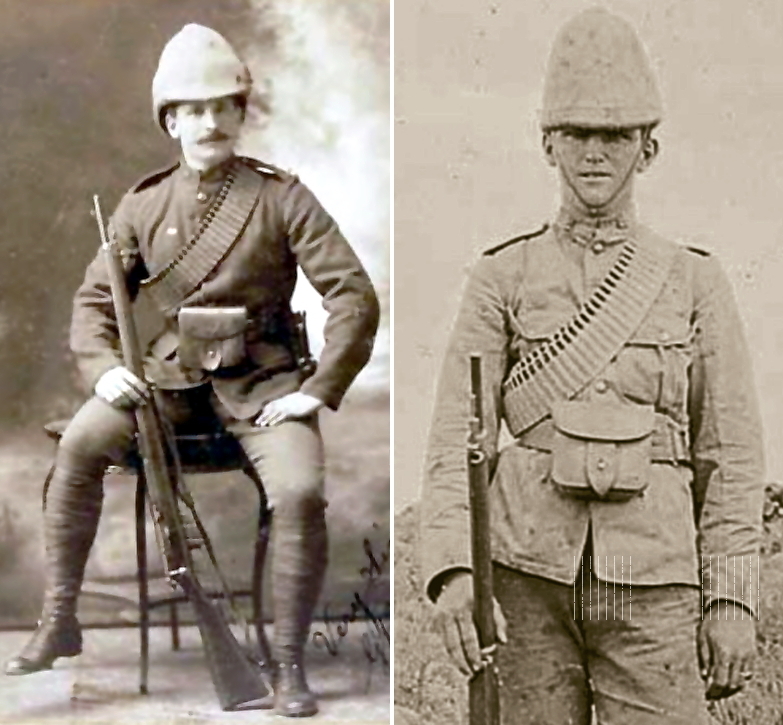 (Indeed, the Boers actually kept themselves well supplied with .303 cartridges for use in captured rifles by simply gathering them up along the marching routes of British columns!) Field modified examples of such refill bandoliers with flaps attached to help retain the cartridges in place.